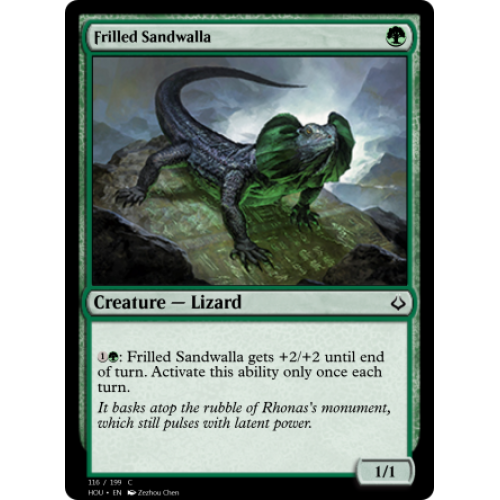 : Frilled Sandwalla gets +2/+2 until end of turn. Activate this ability only once each turn. 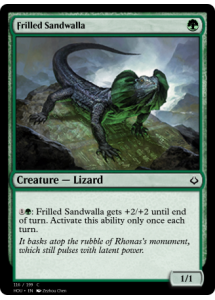 It basks atop the rubble of Rhonas's monument, which still pulses with latent power.